Why holiday or weekend break in South Devon? Beautiful beaches, magnificent estuaries and dramatic coastline attract huge numbers of UK and international visitors. The landscape is remarkable. Wildlife thrives. Discover South Devon’s prehistory at Kent’s Cavern and Torquay Museum. Move through history at Torre Abbey and visit the region’s many National Trust and English Heritage sites. If you have kids, South Devon is packed with family attractions. 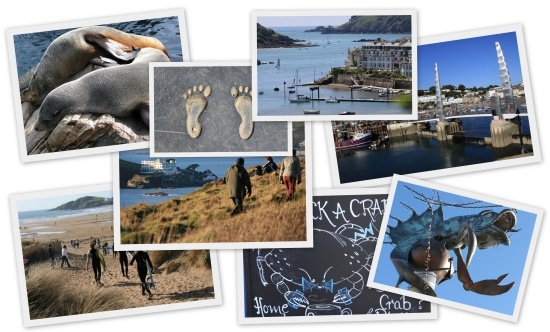 If you’re looking to enjoy local food and drink then destinations such as Dartmouth and Salcombe offer the best. Surf, sea kayak, paddle board or windsurf in some of the finest locations in the UK. Cycle coastal lanes and specialist trails. Walk the South West Coast Path. Take boat trips along estuaries and rivers and out to sea. Explore The English Riviera. Day trip to Exeter and Plymouth. Spend time in Dartmoor National Park.